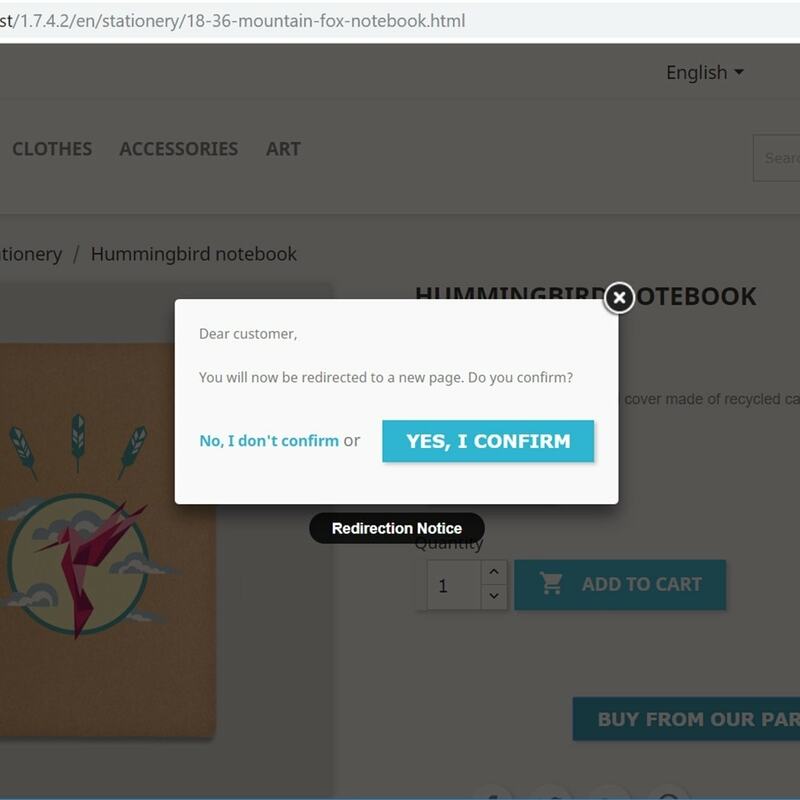 Put a redirection button to your product pages. Good for drop shipping, B2B, referencing, availability check and additional information. 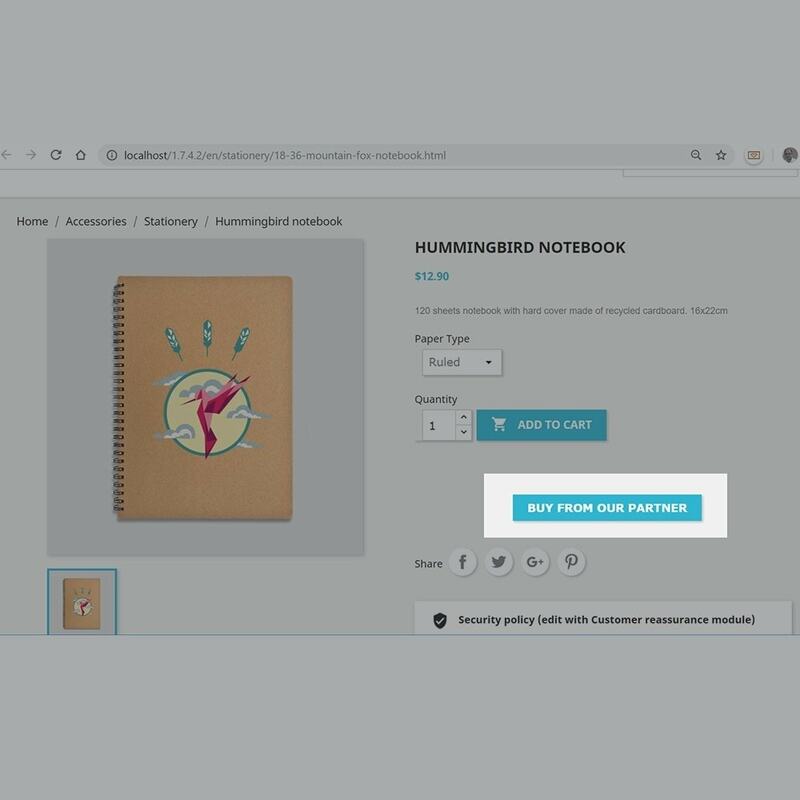 This module allows you to put a button just below the add to cart button. 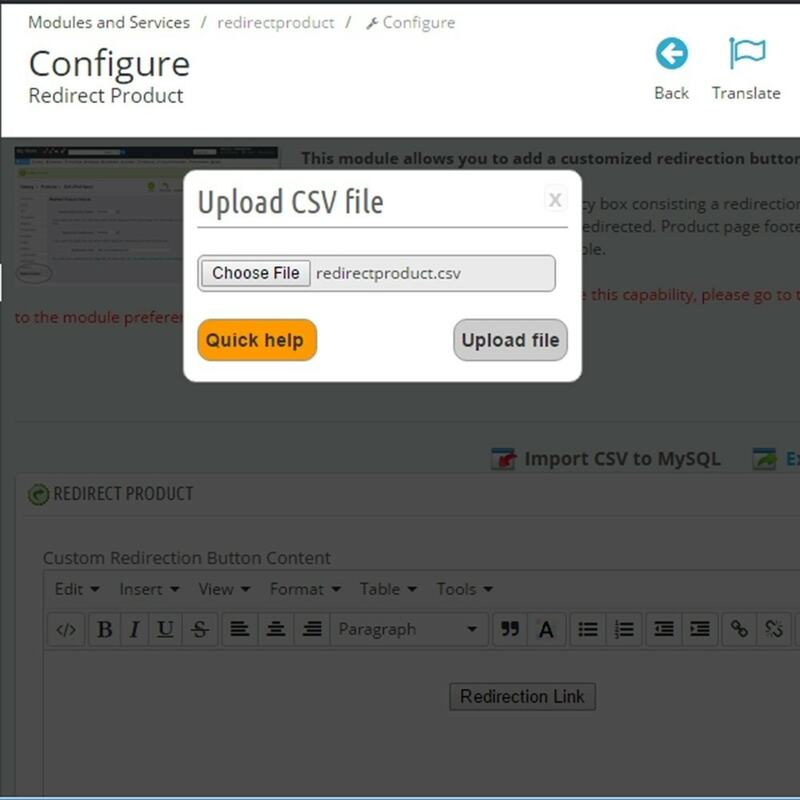 This button can be used to redirect the customer to a reference link, availability check link, addtional information page, etc. The button is optional and can be used without the existence of the 'Add to Cart' button if desired. If desired, a redirection notice can be displayed. 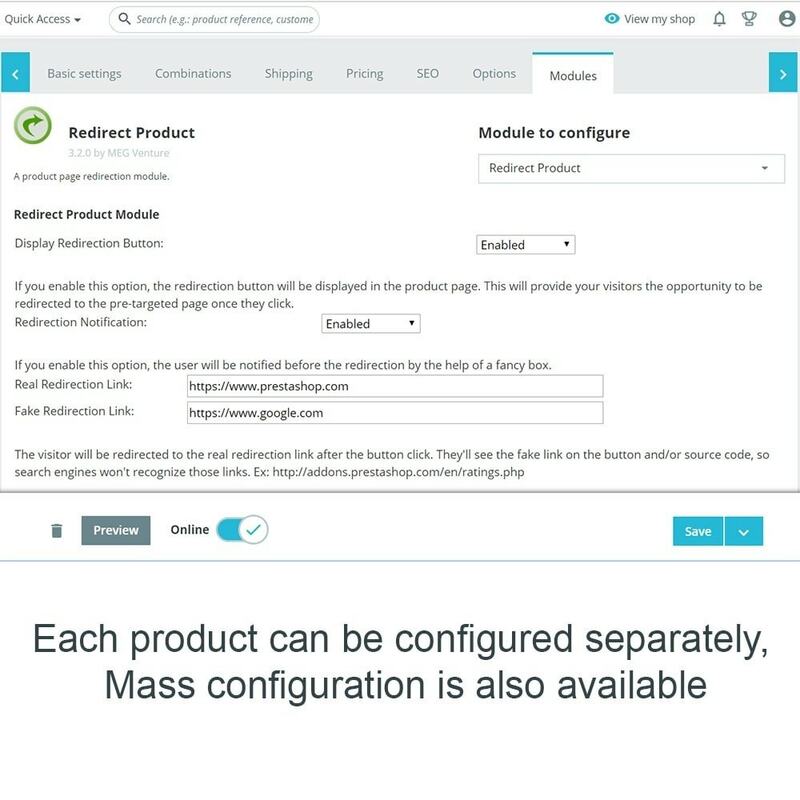 Redirection link is set through each product via the Catalog Product Editing page. Stealth feature: Redirection links are hidden. While visitors see the fake link when they come over the redirection button, actually they are redirected to another (real) link. Even if they look at the source code, they can't see the real link. 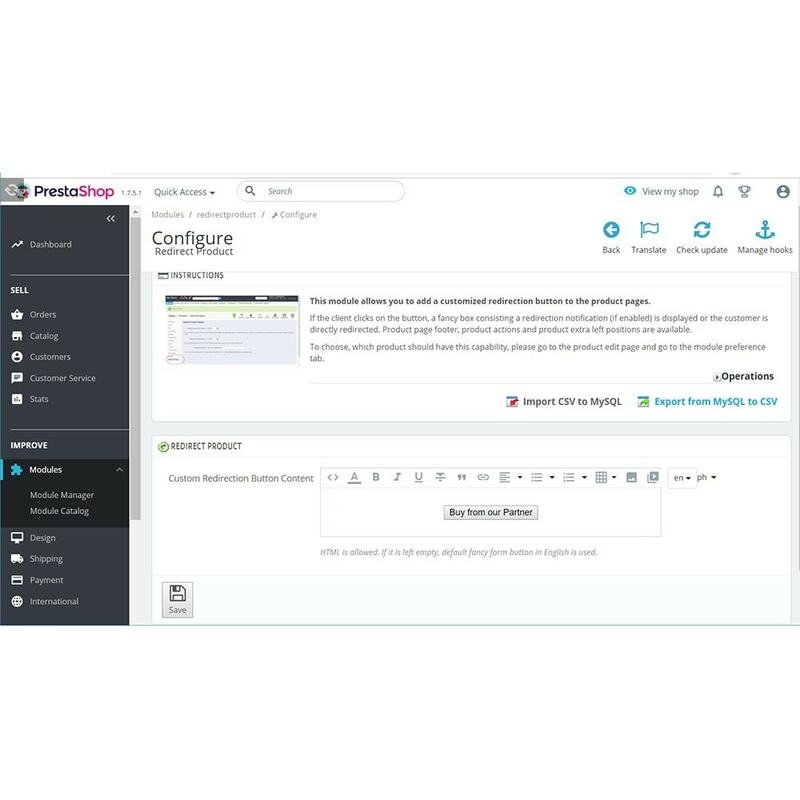 Real and fake links are customizable from the backoffice. SEO Friendly. Search engines can't follow or index the fake and/or real links. 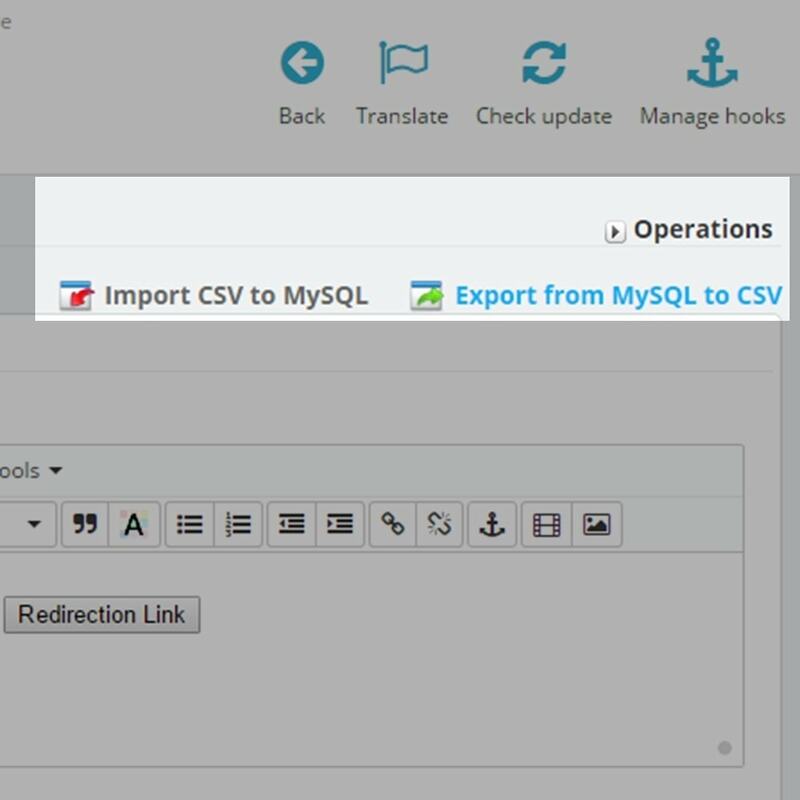 Mass Export/Import CSV capability for the reference URL links. Customer can reach to additional information quickly and easily by clicking a button. Ease of navigation and SEO friendliness is provided. No special installation instruction is needed. Intall as a native Prestashop module and by setting the button preference via the catalog product page, start using it immediately.